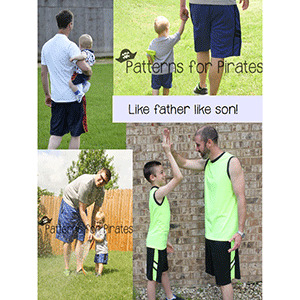 This beginner pattern has LOTS of options! They are super comfortable and can be made with knit or woven. 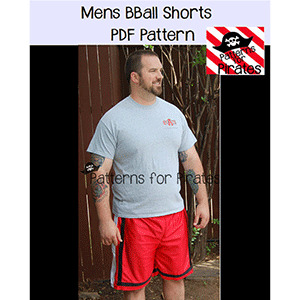 They have the option of plain work out length (to knee) and BBall length (mid to below knee), side panels, in seam pockets, and tutorial also gives instructions on how to add stripes and piping to panels. 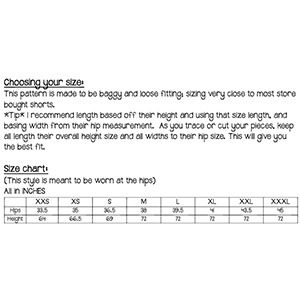 This pattern comes with sizes XXS (Boys 16) to XXXL. 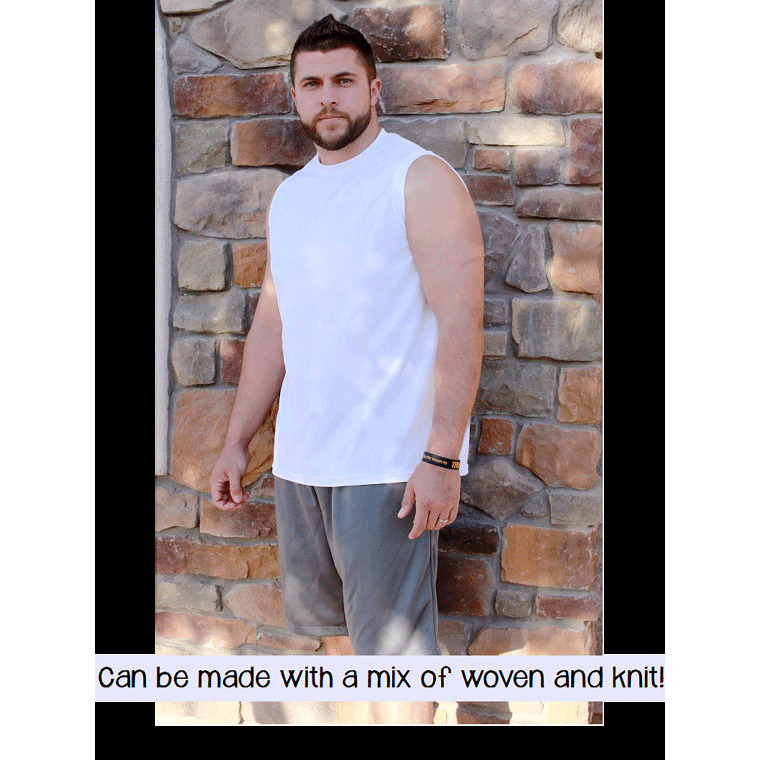 Suggested fabrics are knits such as cotton lycra, lycra spandex or specialty woven.